Last year, the second generation of XC60s was introduced, and many changes were made. 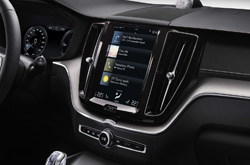 This year, there have been more changes made to the 2019 Volvo XC60. 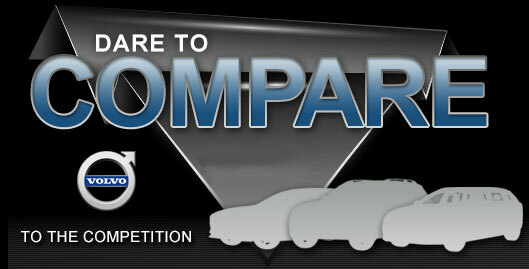 First and foremost, three new packages (the Multimedia, Premium, and Advanced packages) replaced the Vision, Convenience, and Climate packages. A number of new standard features have also been added, including power child locks, heated seats and wiper blades for the all-wheel drive models, and a 12-volt outlet in the rear seat of the base trim. The Inscription and R-Design trim levels now come with parking assistance, blind-spot monitoring, keyless ignition and entry, and a 14-speaker sound system. 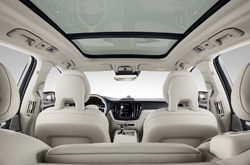 There are three different trim levels to choose from on the 2019 Volvo XC60. The base is known as the Momentum, and it comes equipped with LED taillights and headlights, 18-inch wheels, automatic high beams, and a power liftgate. The interior boasts faux leather, and a 10-speaker sound system comes standard, as do two USB ports, Bluetooth, and a 9-inch touchscreen display. The mid-level trim is the sporty R-Design. This trim comes with 19-inch wheels, door handles that light up, and seat-bottom extensions for both front seats. Finally, the Inscription trim has 4-zone climate control, ambient lighting throughout the cabin, and a dashboard clad in wood and leather. For each of the trim levels, you can select between three different powertrain options - the T5, T6, and the T8 eAWD, which is a plug-in hybrid powertrain. If you are satisfied with the 250 hp and 258 lb-ft of torque that comes on the T5's 2.0-L 4-cylinder engine, this base powertrain gives sufficient power. However, you can get a turbocharged or even a supercharged version of this with the T6, which cranks out 316 hp and 295 lb-ft of torque. The T8 eAWD also features the turbocharged or supercharged engine you get in the T6, except it is paired with a battery pack and electric motor. This gives the T8 a total of 400 hp and 472 lb-ft of torque. Safety is something that Volvo takes quite seriously. Every 2019 Volvo XC60 comes equipped with road departure mitigation, oncoming collision avoidance and mitigation with a people and large animal detection feature, driver attention alert, lane keep assist, and road sign recognition. 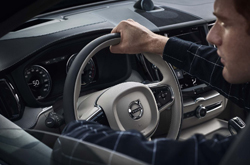 Each model also comes with a free 4-year subscription to Volvo's state-of-the-art On Call system, which adds in a remote engine start function. There is the option of adding the Volvo Pilot Assist suite, which gives you blind-spot monitoring and adaptive cruise control. 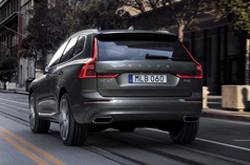 As far as safety ratings go, the Insurance Institute for Highway Safety (IIHS) has given the 2019 Volvo XC60 "Good" ratings across the board on all of its safety tests.